iPhone 5 – Do you want the box? Apple is releasing the iPhone 5 today and I’m sure lots of you are dying to get your hands on one. Maybe some of you even camped out last night to be the first of your friends to have the latest and greatest edition! Lots of our customers are diehard Apple fans and I own several Apple products myself. 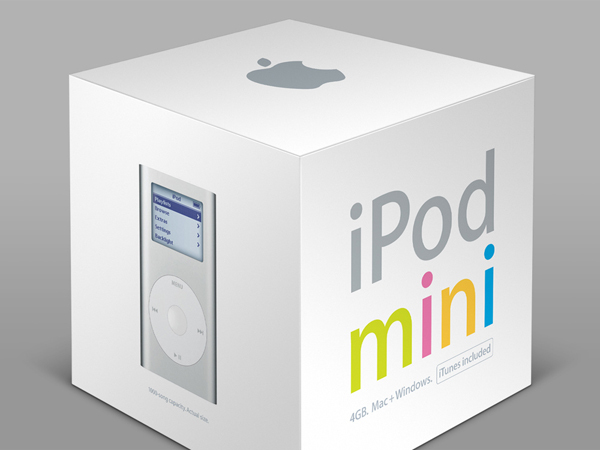 I remember when I bought my first iPod (a mini) and the mind-blowing impression I had when I opened the box. I thought, Wow! Someone really put some thought into this presentation. Apple had it nailed; they understood that the user experience started well before you plugged it in. I still have that box and the impression it made in my mind and even though the mini has been replaced by a nano and the technology is now “ancient”, that box is still in my closet. Sound familiar? But who likes paying extra for fancy packaging? Do you want your performance mods presented with the same sort of over the top presentation that Apple offers? Initially the answer seems like an easy yes, but before you make any hasty decisions, let’s looks at the facts. First, let’s do some math using some highly debatable internet factoids. Let’s say 79% of people living in the US own a mobile phone, 46.9% are smartphone users and Apple has 34% of smartphone marketshare. So let’s see, that’s 311,591,917 people, 246,157,614 total mobile phone users, 115,447,921 smartphone users, of which 39,252,293 are iPhone users…in the US alone! The cost of the packaging they use is probably minimal with that sort of volume. Now let’s scale that in terms of Mazda which represents 1-2% of automobile sales with a fraction of owners ever actually modifying their car. A big hit for a Mazda performance part may sell a few thousand units. The cost of that iPhone packaging suddenly becomes massively expensive to do it for a part that sells 5000 units. It may amount to $25-$50 or more. Now let’s say we are set to release a short shifter kit for the Mazda 2 (hint). We could sell it for $50 in a plain brown box that makes sure the kit arrives to your house safely or we could design some fancy packaging to box it up in and ship to you. Let’s say that fancy packaging bumps the retail to $60. Is this worth it to you? Elaborate, custom packaging can easily add 10-20% to the retail price of a part when you consider the type of volume that can reasonably be expected to sell of a typical of Mazda performance part. If you were to buy $1000 in parts per year, this could mean an extra $100 you would spend on the boxes your parts come in instead of parts to for your car! So… do you want your Mazda performance parts in expensive, showy packaging or do you want more money in your pocket for parts? P.S. We happen to have some products that are presented pretty well (not iPhone well though). We sell enough of those specific parts to bring the cost of the packaging down so it doesn’t substantially affect the price of our products. Well packaged and protected in a plain brown box is good enough. I don’t need my cat-back exhaust packaged in a sleek matte white box with frills. Good blog entry. I always like the insight you guys give into the business side of things, as well as the development side. Keep it up! Brown box, keep it cheap. Put the extra money into research and development for more sweet corcksport products. I liked the boxes I just received. They’ll likely just get recycled, but it adds to the experience. It’s like getting a new toy Christmas morning. Give me the meat! I understand the importance of advertising and thrilling the consumer, but for me i like power…. Overall, I think it adds to the experience; especially when it’s a brand that I have some loyalty to. I don’t mind paying a reasonable amount extra for that experience when it makes sense. I’d expect a CBE to come “brown box”, but I’d be happy to see smaller items come packaged well. I enjoy to see a vendor that has taken the pride in their product to 100% of the way through the process. I still make my decisions on what I believe to be the best item; the packaging doesn’t influence my purchasing decisions. However, I would like to point out that I prefer to see the “show” inside the box. I don’t care about the outside of the box looking amazing. I enjoy the “wow” when I open the box. 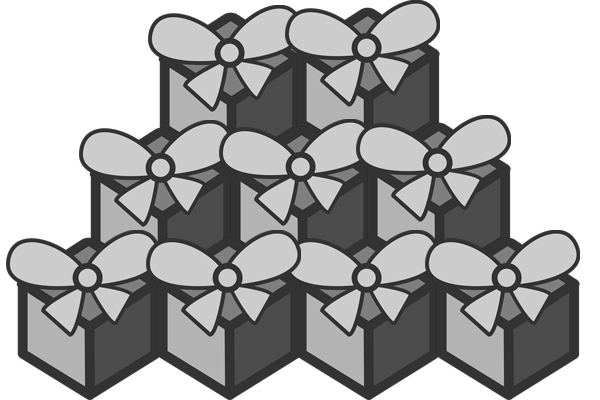 A brown box outside, containing an item presented in a way thats appealing, yet protected for shipping is what I’d love to see. When I open an item that I’ve been researching, saving for, getting excited about, etc. ; I want to get that feeling like I’m Vincent Vega opening that briefcase. To me, that feeling is worth a few extra dollars. Definitely prefer that money go into making the PRODUCT look good and arrive SAFELY at my doorstep. The outside of the box isn’t so important since for most people who buy car parts it will get thrown away. Keep in mind the IPhone is sold to a very broad audience which includes many non nerds and many people who are more likely to be swayed by pretty packaging. Those who buy car parts are typically nerdy and/or guys (not always tho), which makes it less likely that the demographic CorkSport sells to will actually care about the appearance of the outside of the box. Shaun has a very good point, Apple sells to a very broad and diverse market where people buying apple products range from knowing more about the products than all the best buys combined to grandma who knows nothing, her kids just told her to buy one so they can FaceTime. On the other hand, people buying performance option parts for their cars are usually informed on the quality of the product they are buying because of prior research. I would bet that almost everyone that buys a corksport part looks at it online,and the quality of your website is a much bigger selling point to me than packaging. I know that if I buy something from you guys I’m going to have a quality part that comes with awesome instructions and someone waiting on the phone if I have problems. I’m usually so stoked to see the actual product that I usually don’t notice the packaging much because I don’t need the packaging to sell the product to me, I’m already sold! Previous PostPrevious Wipe That Smile off Your Face CX-9!